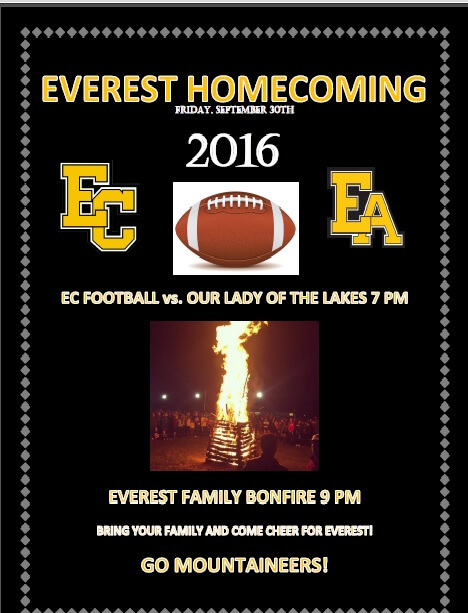 Don’t miss the Everest Homecoming game this coming Friday. Our undefeated Mountaineers will take on Our Lady of the Lakes at 7:00 pm. And don’t forget our annual Bonfire at 9:00 pm. 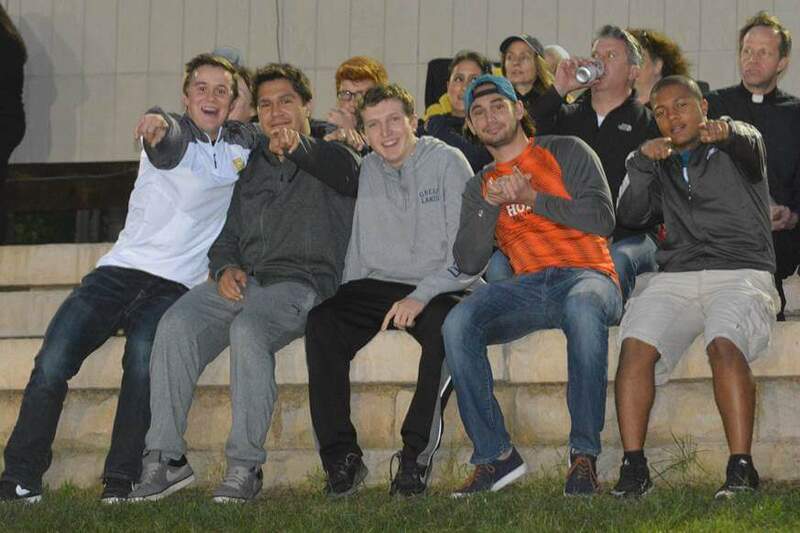 There was a significant alumni sighting at last week’s game, and we expect even more sightings this Friday. Come one, come all! → Vote for EC vs OLL Football as Game of the Week on MI Prep Zone!